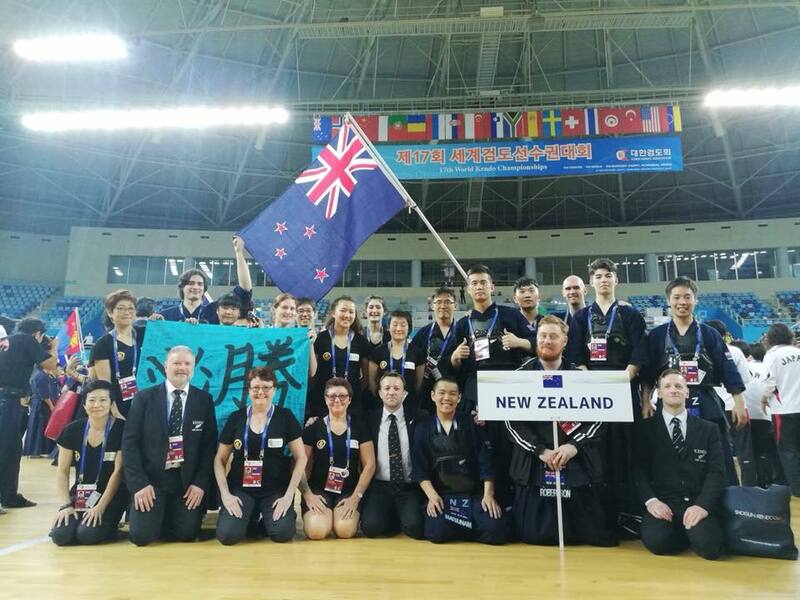 Great showing for the New Zealand team at the 17th Kendo World Championships in Korea! Both the men’s and women’s teams finished in the top 16 in their respective competitions. The women’s team beat Agentina to go on to fight the Netherlands. The match with the Netherlands was close, with equal points after five fights so ended up in daihyosen. The deciding point was won by the Netherlands ending the NZ women’s campaign but it was still a great result for New Zealand. The men’s team had a tough draw being in the only pool that had 4 teams in it, all other pools consisted of 3 teams. The NZ men beat Latvia and Romania but lost to Japan. Only one team advances (Japan) but this still means the NZ men’s team finished in the top 16.